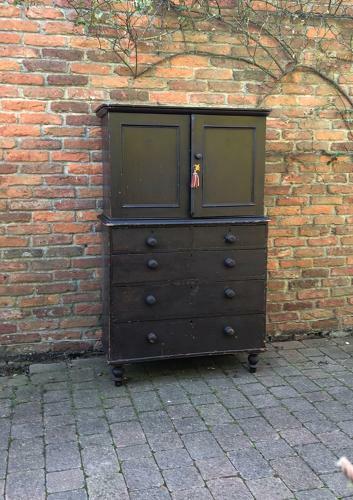 Lovely small size Victorian all pine Linen Press. Shelved Cupboard on Five Drawers. Dovetailed construction and raised on turned legs all in its Victorian Paint. Naturally distressed. Great ready to use condition...no worm. Comes apart in two parts. Collection or Courier UK £50 (not including Scotland).